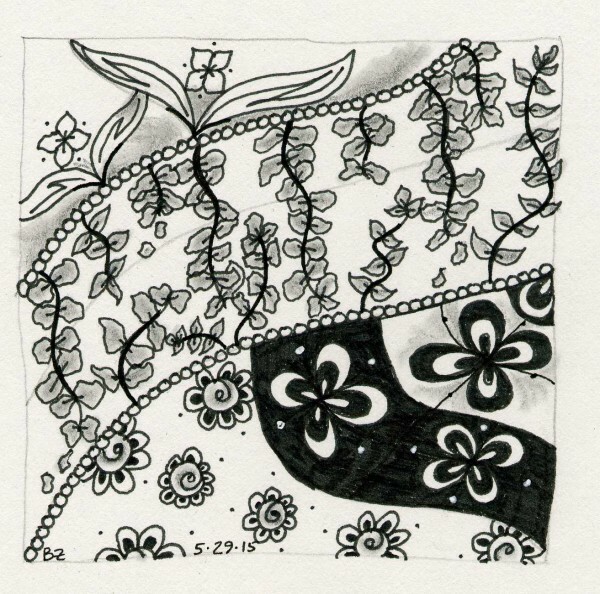 The challenge this week for It's a String Thing #94 was to use TanglePatterns String 94 with the tangles Wist, Jasmin, Sooflower, and Fleri. I'm not happy with the dark/light balance of this tile. I think the dark band of fleuri is throwing things off. I love how my wist (the middle band of the tile) came out, though. Overall it is a very Springy, happy tile. Do you keep these in an album or display them somehow? These are all in my sketchbook. So I can flip through and see progress and also, somewhat see my state of mind.